Kidney stones can be very painful. That's why it's a good idea to avoid the foods that may lead to their formation and increase your water intake to encourage their elimination. 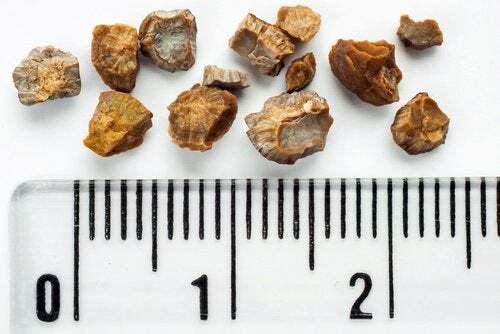 Kidney stones are solid fragments that while very small, can’t get out of the body by themselves. They get stuck in the urinary tract, causing a lot of pain. They can be caused by many factors, such as certain foods. That’s why we’ll tell you which foods to stop eating if you are predisposed to kidney stones or have had them in the past. You should try to avoid these foods or consume them with caution, especially if you’re prone to kidney stones. Coffee is the star of your morning. But while it may help you wake up in the morning or get your work done at the office, it also causes collateral damage. One of its effects is that it makes your kidneys work harder and increases the chance of getting kidney stones. Caffeine isn’t just in coffee, but also in tea and soda. These beverages increase calcium levels in urine and can cause kidney failure in the long term due to their stimulant effects. Caffeine also is a diuretic, which means it encourages our bodies to lose liquids more quickly, which can also increase our risk to get kidney stones. Animal-based protein and fat is associated with the formation of kidney stones and kidney damage. If your diet includes too much red meat, you should know that the components of red meat are hard for your body to get rid of. This food is also high in uric acid and purines. When these levels are too high, you can get gout or kidney stones. Other foods high in purines are asparagus, beans, and cabbage. Try to not eat too much of these in a short period of time. This can help prevent kidney stones and prevent too much accumulation of uric acid. We use them to sweeten our desserts and teas. They’re in diet drinks, and we can find them in many low-calorie foods. 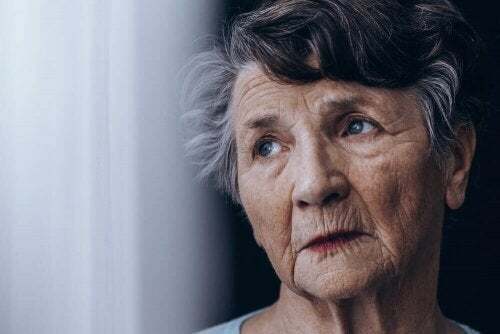 While we may think they’re better for us than sugar, they have many serious side effects to our health including kidney stones and worsening kidney function. One of the most common problems in people’s diets is their sodium intake. Even if you don’t add it to the food you make yourself, prepared foods have way too much sodium. It’s even in sweets! 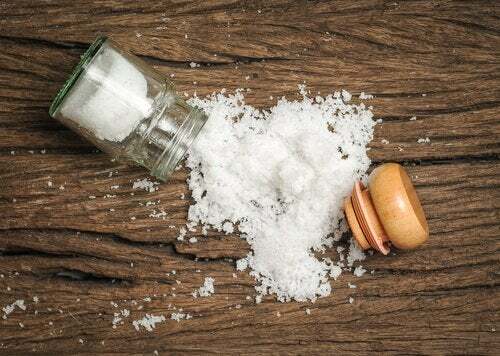 Eating too much salt promotes fluid retention and the formation of kidney stones. Your body can’t get rid of all of the excess sodium, which ends up being stored in the renal system. In addition, it raises blood pressure and contributes to weight gain. People predisposed to kidney stones should avoid foods high in oxalates. This organic compound contributes to sodium and calcium accumulation in the kidneys. The food that contains the most oxalic acid is shellfish. Furthermore, leafy greens, chocolate, and walnuts also contain a good amount. It is also a good idea to reduce your consumption of peanuts, bran, and beets if you want to prevent kidney stones. Celery and liver also contain a small amount. Remember, you shouldn’t exceed 50 mg a day. To reduce oxalate absorption, you should eat calcium-rich foods. When both are consumed, they are passed through the kidney more easily. Dairy is an important and very common part of our diets. These products are high in calcium and necessary for the growth and strengthening of your bones. However, they aren’t good for people who tend to get kidney stones. The consumption of milk, yogurt, or cheese increases the elimination of calcium via urine and this makes the elimination of kidney stones and wastes more difficult. Since a lack of calcium in your diet is associated with a higher risk of kidney stones, moderate consumption is recommended. In other words, don’t eliminate calcium from your diet, but do try to get it in different forms. For example, try almonds. What should I eat to prevent kidney stones? Now that you have a list of foods you should stay away from, let’s take a look at foods and drinks you SHOULD have. 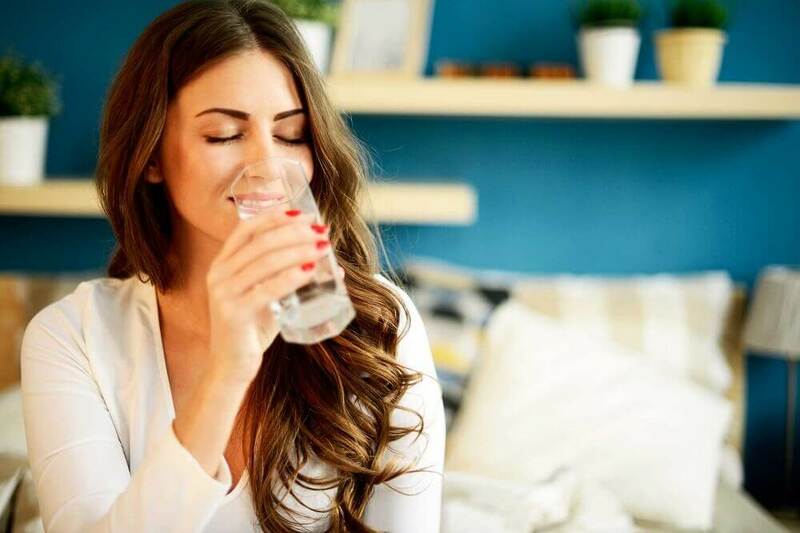 Besides following a healthy diet and maintaining healthy habits (including exercising, not smoking, and sitting less), we advise drinking at least 12 cups of water every day. While the well-known amount is 8 cups a day, people with a propensity for kidney stones should increase their intake. If you drink 12 cups of water a day, you produce 8 cups of urine. Water isn’t just low in sodium but also helps eliminate waste that accumulates in the urinary tract. If you don’t like drinking water by itself, you can have it in smoothies, juice, and tea. You can even add a lemon or another fruit to give it a special flavor. That way, you’re also feeding your body much-needed nutrients. Remember that coffee, alcohol, and soda don’t count! Vega, M., & Vito, M. (2011). Cálculos Renales o Nefrolitiasis. Revista de Actualización Clínica. Grases Freixedas, F., Conte Visús, A., Costa-Bauzá, A., & Ramis Barceló, M. (2001). Tipos de cálculos renales. Relación con la bioquímica urinaria. Archivos Espanoles de Urologia. Hemstreet, G. P. (2012). Sistemas renal y urinario. Enciclopedia De Salud Y Seguridad En El Trabajo. López-Luzardo, M. (2009). Las dietas hiperproteicas y sus consecuencias metabólicas. Anales Venezolanos de Nutrición.